I am delighted to share with you a short piece I wrote and recorded for the programme From Our Own Correspondent, which was broadcast on BBC World Service this morning. There are repeat broadcasts until Wednesday morning, depending on where you are in the world, and you can listen to it online here. 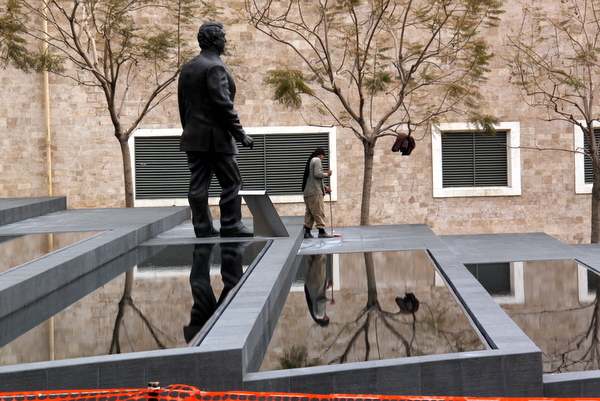 A recently erected statue of Rafiq Hariri. If you zoom in on the map you can see the stone waterfall structure. I like the sweeper’s jacket hung casually over a branch.